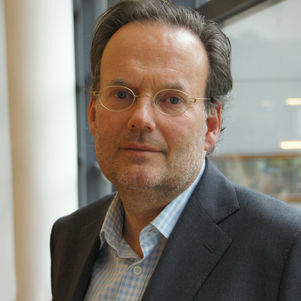 Hans de Bruijn is Professor of Public Administration/Organisation and Management at Delft University. His research is on networked, multi-actor governance, both between and within organizations. Areas of application are the various utility sectors, large infrastructural projects and environmental issues. Much of his research is also on management within networked organizations – e.g. on performance management, decision making, knowledge management, coordination. Hans is an expert on multi-actor decision making: making decisions in a network of actors with different interests and without a hierarchical structure. Issues are the strategic game playing by these actors, their strategies to get others actors aligned, the tension between individual and collective rationality, the role of trust, the role of smart command and control, coping with uncertainties and ambiguous information. He has applied this expertise to technology-dominated environments, e.g. telecommunications, energy, the environment, infrastructural projects, maintenance, safety and security. He also broadened the scope of his research by exploring many other issues, often connecting these to his research on multi-actor, network-like contexts. He has published books and articles on the role of managers in professional organizations, on performance management, on regulatory governance, on patient safety, on patterns in the analyses public investigation committees, on the use of Life Cycle Analysis – and on many other themes. Strategies for safeguarding public values in liberalized utility sectors, Public Administration, vol. 84, number 3, pp. 717-737, together with Willemijn Dicke. Hans de Bruijn holds a 0.8 position as a professor at Delft University. He uses the remaining 20% of his time for paid secondary employment, mainly as a professional training consultant, variable fees. Other present positions: Member of the board of MaGW-NWO, no fee. Member of the Board of The Netherlands' Institute of Governance (NIG), no fee. Visiting Professor at Politecnico Milano, costs covered by PM. Member of the board of the Association of Public Administration, no fee. Weekly column in Dutch newspaper 'Trouw' on framing, 65 euro per column. Hans teaches and has taught many courses in both the bachelor and master programs of the Faculty of TPM. In 2015, he developed his first MOOC, on framing political messages. As a visiting professor, he teaches twice per year at the Politecnico di Milano. He is often invited to speak for practitioners, on topics like framing, decision making, performance management, managing professionals. Recent projects are about the role of analysis and intuition in the world of safety and security management/ safety, unexploded second world war bombs and spatial planning/ cost overruns of ICT projects/ smart governance in the energy sector/ perfomance management of intergovernmental cooperation/ the public debate and framing of overhead power lines.